We can judge whether Pandora Media Inc (NYSE:P) is a good investment right now by following the lead of some of the best investors in the world and piggybacking their ideas. There’s no better way to get these firms’ immense resources and analytical capabilities working for us than to follow their lead into their best ideas. While not all of these picks will be winners, research shows that these picks historically outperformed the market when we factor in known risk factors. Pandora Media Inc (NYSE:P) has experienced an increase in hedge fund interest lately. P was in 41 hedge funds’ portfolios at the end of the third quarter of 2018. 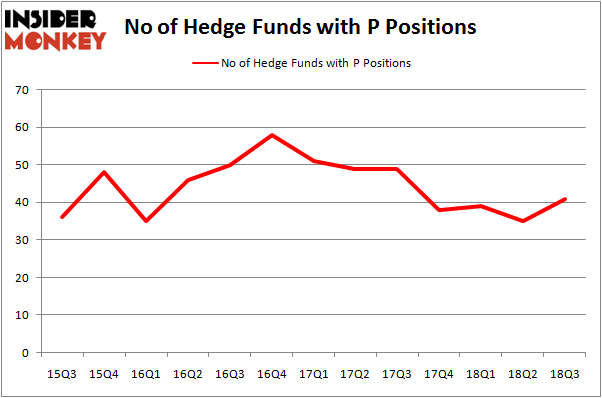 There were 35 hedge funds in our database with P holdings at the end of the previous quarter. Our calculations also showed that P isn’t among the 30 most popular stocks among hedge funds. Let’s go over the key hedge fund action surrounding Pandora Media Inc (NYSE:P). What have hedge funds been doing with Pandora Media Inc (NYSE:P)? Heading into the fourth quarter of 2018, a total of 41 of the hedge funds tracked by Insider Monkey were bullish on this stock, a change of 17% from the second quarter of 2018. By comparison, 38 hedge funds held shares or bullish call options in P heading into this year. So, let’s find out which hedge funds were among the top holders of the stock and which hedge funds were making big moves. Among these funds, Southpoint Capital Advisors held the most valuable stake in Pandora Media Inc (NYSE:P), which was worth $86.9 million at the end of the third quarter. On the second spot was Ashe Capital which amassed $74.2 million worth of shares. Moreover, Eminence Capital, D E Shaw, and Soros Fund Management were also bullish on Pandora Media Inc (NYSE:P), allocating a large percentage of their portfolios to this stock. As one would reasonably expect, some big names have been driving this bullishness. 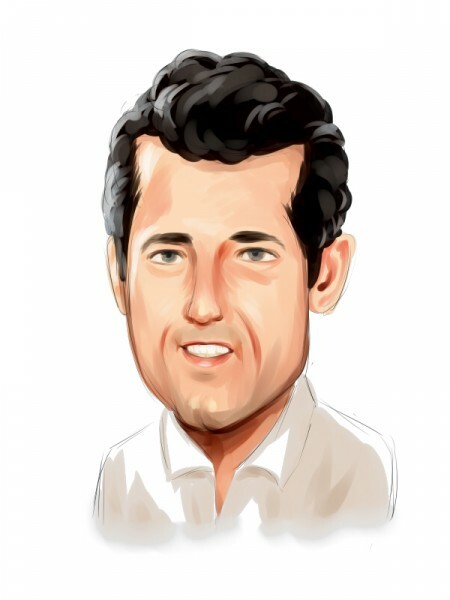 Paulson & Co, managed by John Paulson, assembled the most outsized position in Pandora Media Inc (NYSE:P). Paulson & Co had $38.7 million invested in the company at the end of the quarter. Jim Simons’s Renaissance Technologies also made a $26.2 million investment in the stock during the quarter. The other funds with brand new P positions are Seth Wunder’s Black-and-White Capital, Clint Carlson’s Carlson Capital, and Dmitry Balyasny’s Balyasny Asset Management. Let’s now review hedge fund activity in other stocks similar to Pandora Media Inc (NYSE:P). We will take a look at PotlatchDeltic Corporation (NASDAQ:PCH), Tegna Inc (NYSE:TGNA), Viavi Solutions Inc (NASDAQ:VIAV), and Newmark Group, Inc. (NASDAQ:NMRK). All of these stocks’ market caps are closest to P’s market cap. As you can see these stocks had an average of 19.5 hedge funds with bullish positions and the average amount invested in these stocks was $217 million. That figure was $789 million in P’s case. Tegna Inc (NYSE:TGNA) is the most popular stock in this table. On the other hand, PotlatchDeltic Corporation (NASDAQ:PCH) is the least popular one with only 16 bullish hedge fund positions. Compared to these stocks Pandora Media Inc (NYSE:P) is more popular among hedge funds. Considering that hedge funds are fond of this stock in relation to its market cap peers, it may be a good idea to analyze it in detail and potentially include it in your portfolio. Hedge Funds Aren’t Crazy About FactSet Research Systems Inc. (NYSE:FDS... Is Motorcar Parts of America, Inc. (MPAA) A Good Stock To Buy? Is The PNC Financial Services Group, Inc. (PNC) A Good Stock To Buy? Hedge Funds Are Dumping Gilead Sciences, Inc. (GILD) Hedge Fund Sentiment Is Stagnant On Portland General Electric Company (POR) Is PotlatchDeltic Corporation (PCH) A Good Stock To Buy?